Minimizing the environmental footprint of our properties is a critical piece of our preservation mission. At POAH Communities, we aim to not only provide high quality housing and services to our residents, but also to reduce our environmental footprint within the communities we serve. Our data-driven approach allows us to track utility usage at each individual property and institute measures that save water and energy. These conservation efforts increase resident comfort and contribute to cost savings which help us maintain the affordability of our rental housing. POAH Communities offers specialized maintenance services to each of the properties in our portfolio. By taking advantage of the latest technology, we experience real-time reporting of the status of service calls, scheduled maintenance, and unit turnover status. Smart phone applications enable staff to receive, act on and close work orders remotely. The work order reports provide maintenance and managerial staff the opportunity to review and analyze operations with ease. The training department at POAH Communities plays an integral role in guaranteeing we effectively impact our residents. Our primary goal is to develop our employees to perform their very best in their jobs. We strive to build learning solutions that complement the skills our employees already have. We also fully deliver learning opportunities based on employees’ needs and interests. This could include helping our maintenance team advance their technological skills, enhancing regional property supervisors’ leadership capabilities, or assisting property managers in identifying methods to better coach their teams. The Human Resources department at POAH Communities supports our employees in every aspect of the workplace. We offer competitive employee compensation as well as benefits and use the latest technology to manage and protect our employees’ information. From monitoring employee and union relations to coordinating policies and procedures, the HR team creates an environment in which employees feel comfortable and are able to thrive. 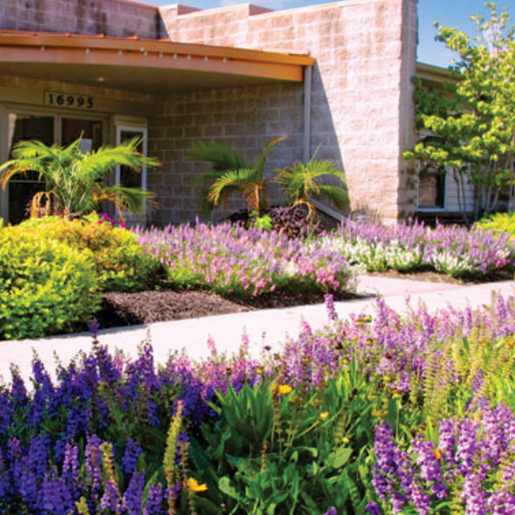 Thoughtful landscaping adds to the beauty and enjoyment of our properties while saving water consumption. 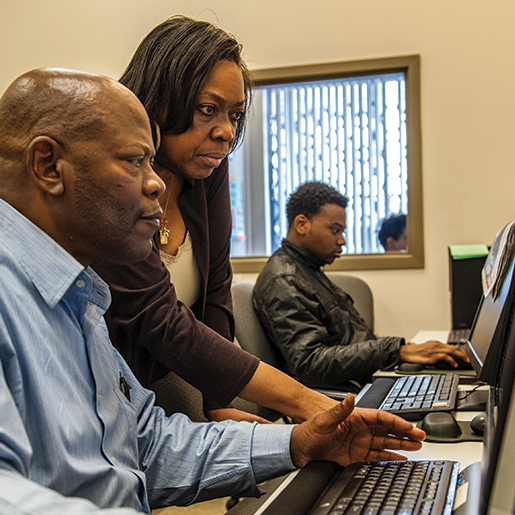 Residents benefit from technology training at the Woodlawn Resource Center in Chicago.